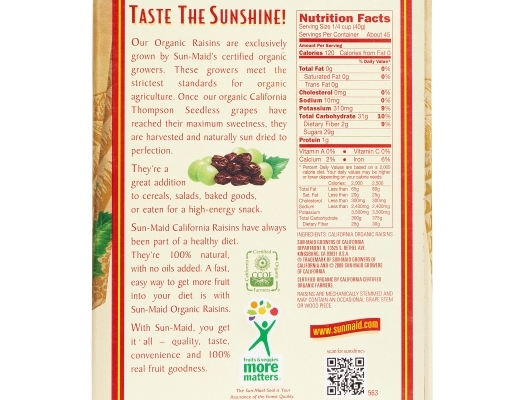 Taste the sunshine! 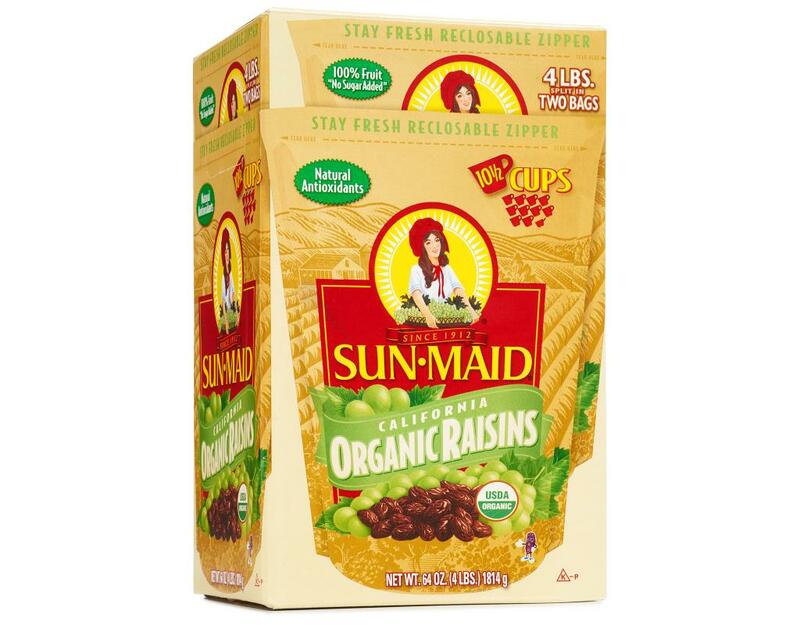 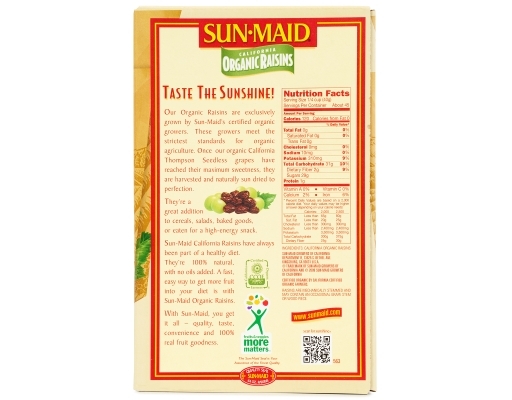 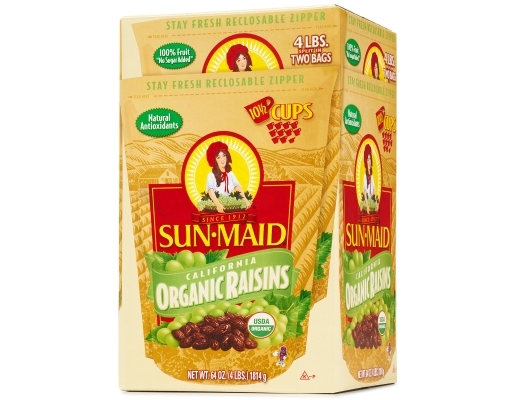 Sun-Maid's Organic Raisins are exclusively grown by Sun-Maid's certified organic growers. These growers meet the strictest standards for organic agriculture. 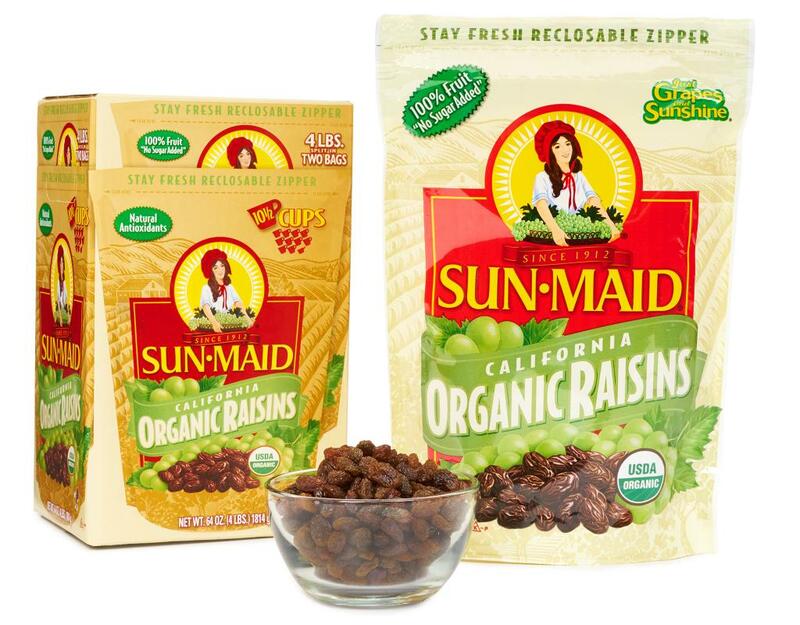 Once the organic California Thompson Seedless grapes have reached their maximum sweetness, they are harvested and naturally sun-dried to perfection. 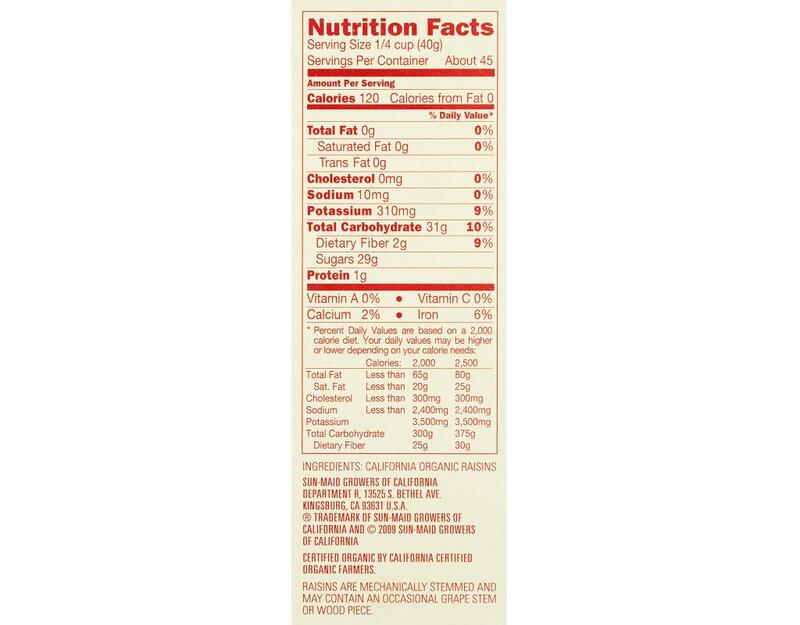 They're a great addition to cereals, salads, baked goods, or eaten for a high-energy snack. 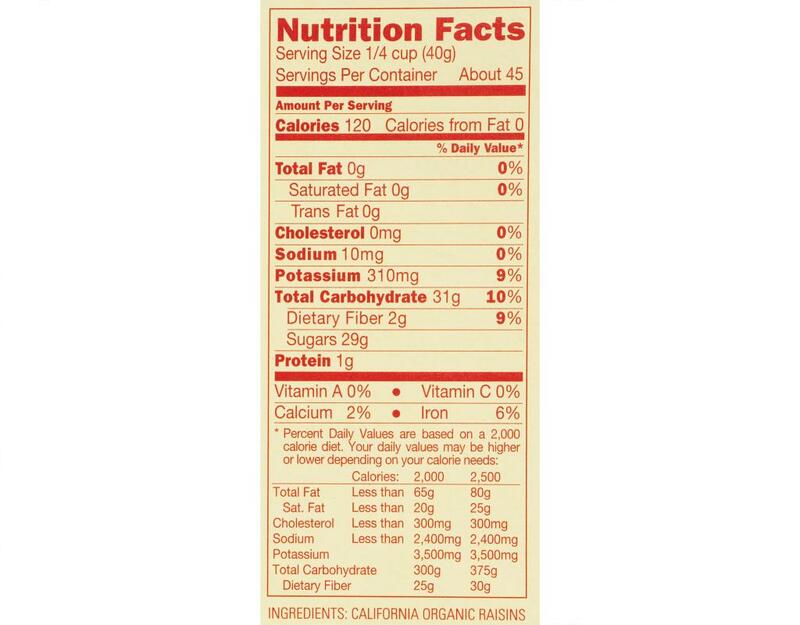 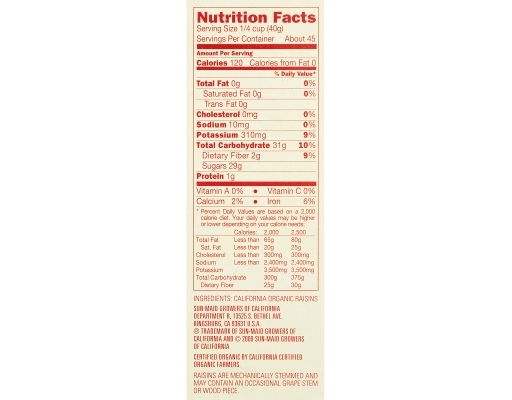 Sun-Maid California Raisins have always been part of a healthy diet. 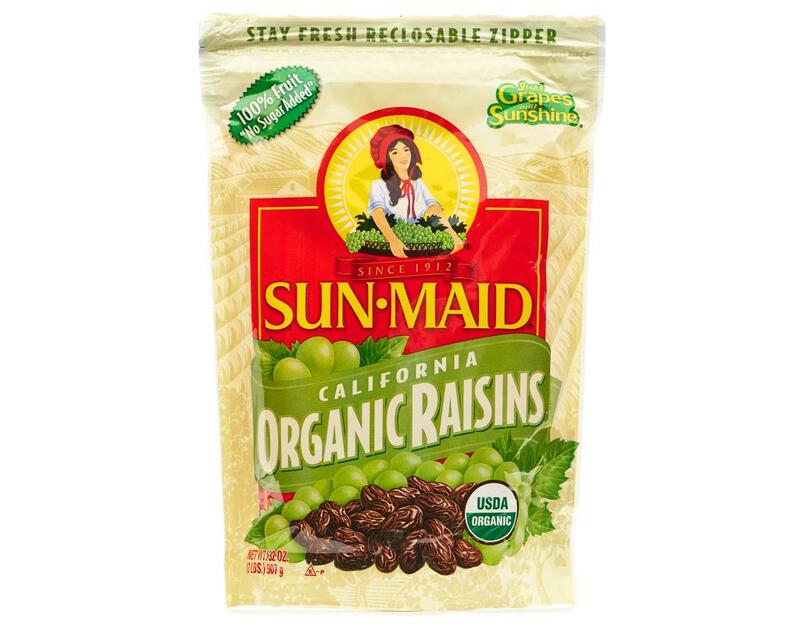 They're 100% natural, with no oils added. 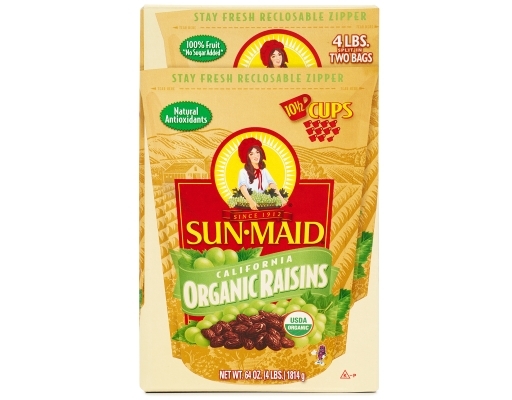 A fast easy way to get more fruit into your diet is with Sun-Maid Organic Raisins. With Sun-Maid, you get it all--quality, taste, convenience and 100% real fruit goodness.